Transform your chickens from an everyday association into a gorgeous gathering by adding birds with these eye-catching feather patterns. 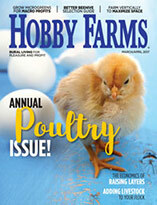 If you want to bring some pizzazz to your poultry yard, consider adding chickens with a dramatic feather pattern that can transform a flock from routine to resplendent. Many standard and bantam chicken breeds sport at least one of these patterns on their plumage. Some breeds, including the Wyandotte and Hamburg, present patterns in more than one color. The American Poultry Association recognizes and offers Standards of Perfection for numerous breeds with patterned varieties. Many more, however, are unofficial, the result of poultry keepers whose pet projects involve the meticulous breeding of chickens to isolate or combine genetics aimed at developing feather-pattern variations of their own. Interested in adding some zing to your flock’s wings? 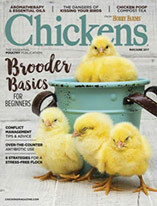 Read up on these seven principle poultry patterns, then contact your favorite hatchery or feed store, or search for a breeder who specializes in patterned birds. Barring is characterized by alternating dark and light stripes at right angles to the feather’s shaft. The striping (on the Barred Rock pictured here) is distinct, with well-defined edges, and the light stripes are either the same size or narrower than the dark stripes. Some breeds feature Double Barring, in which the light stripes are significantly wider than the dark stripes. Barred breeds include Plymouth Rock, Dominique, Holland, Cochin and Orpington. Crele is a subvariety of Barred found in many chicken breeds. The Crele pattern occurs when either a Black-Breasted Red or a Partridge is crossed with a Barred. The resulting bird features eye-catching barring in red and black all over its body. 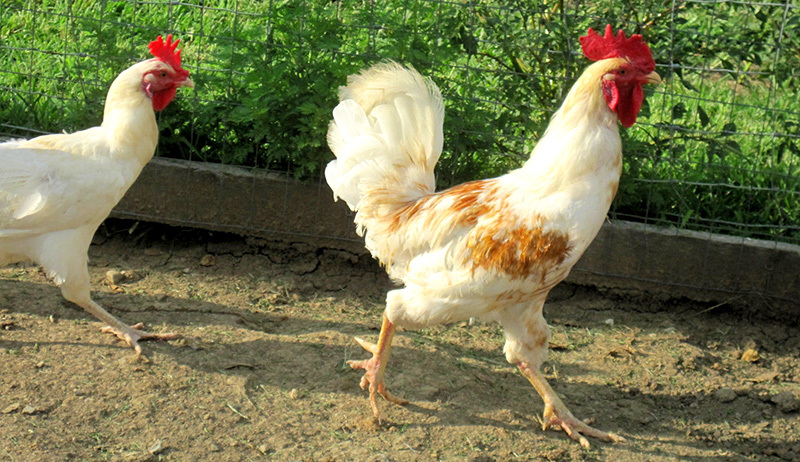 Breeds with Crele varieties include Brahma, Old English Game (pictured here), Dutch Bantam, Orpington and Polish. The Golden Crele Legbar is the basis for all varieties of Legbar. To the unschooled eye, Cuckoo patterning seems virtually impossible to differentiate from Barring. The trained eye, however, notes that Cuckoo stripes are not crisp but appear smudged, as if drawn with a chunk of charcoal as opposed to a quality drafting pen. Cuckoo breeds include Marans (picture here), Dorking, Old English Game, Orpington and Polish. A favorite amongst flock keepers, Lacing appears as though the feathers’ outer edges have been dipped in a second color, typically white or black. A Golden-Laced bird bears golden-orange feathers laced in black, while a Buff-Laced bird’s feathers are laced in white. Lacing is an APA-recognized variety for several breeds, including the Cochin, Wyandotte (pictured above), Polish and Cornish. The Barnevelder (pictured below), another APA-recognized breed, features feathers that are Double Laced (a second band of color nests within the first). Mottleds are strikingly beautiful birds that look as though they’ve been speckled with snow, thanks to their pigment-free feather tips. These white or silvery-gray points are banded by a thick black stripe, with the chicken’s natural plumage color farther down the shaft. Often this color is white or black, creating an effect of multiple snowy or starry layers. 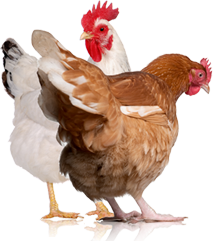 Breeds that feature Mottling include the Orpington, Polish, Houdan, Leghorn and Belgian Bearded d’Uccle. Pencilling is perhaps the most exquisite of all plumage patterns, featuring fine, delicate lines of color that follow the contour of the feather, versus just the outer edge as with Lacing. Pencilled feathers can have two to four nested lines, creating a truly stunning pattern of contrasting colors. Pencilled breeds include the Hamburg, the Plymouth Rock and the Wyandotte. As with the Mottled pattern, Spangled feathers have pigment-free spots. These areas, however, are in the middle of the feather, not at the tip. The result is an inverse of Mottling: dark spots banded in white or silvery gray, creating the appearance of a snow-colored bird covered in polka dots. Aseel, Cornish, Hamburg (pictured here), Malay, Old English Game and Orpington breeds offer Spangled varieties.